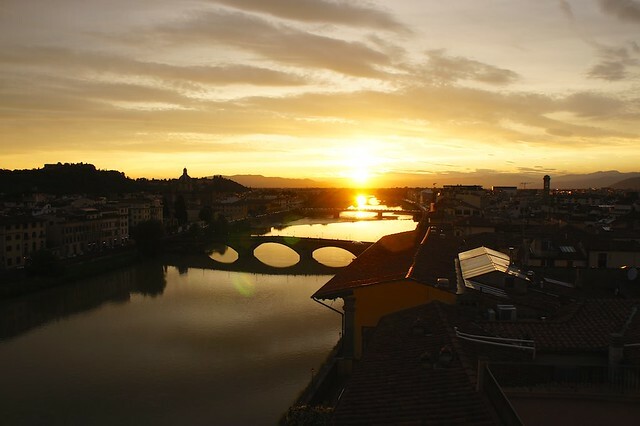 Our First Friday Favorite for March is the Antica Torre di Via Tornabuoni in Florence. Its exceptional combination of spacious rooms, attentive staff, central location and best bang-for-your-buck rates make it one of our absolute favorites. We wish we could clone this hotel in every Italian city. This imposing crenellated stone tower, dominating the bustling and elegant Via de Tornabuoni in the heart of Florence's downtown, is one of the city's best-preserved Medieval "tower residences", which architecturally combined the roles of defense with domesticity. Antica Torre di Via Tornabuoni was built during the first half of the 13th century by the Guelf Ruggerini family, before changing hands a number of times until being inherited by the Gianfigliazzis, one of the most powerful Florentine families from the 1500's through the 1700's. The tower opened as a guesthouse in the early 20th century, favored by English aristocrats and intellectuals as a stop on the Grand Tour. 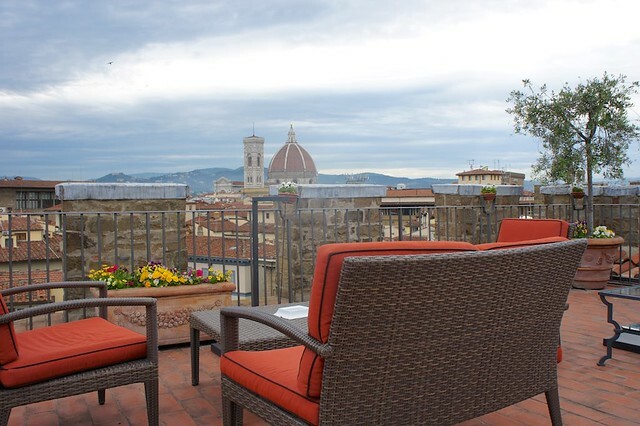 Recent renovations have restored the tower residence to its original glory, and the Antica Torre is now one of Florence's most unique boutique hotels. Because the hotel is a historic residence, services are a bit different than at more traditional properties. The helpful reception staff is on duty daily from 7am - 10pm. You are given a key to the palazzo for access outside of those hours. You are also given the on-call staff's cell in case of emergencies outside of the reception hours. Although there is no restaurant on site, the breakfast is fantastic, featuring homemade pastries, egg dishes, fruit, and everything else you would normally expect. There is also an honesty bar, available to guests at anytime for wine, beer or soft drinks. One of the best features of the hotel is the rooftop terrace, with bird's-eye views over the city and surrounding countryside. 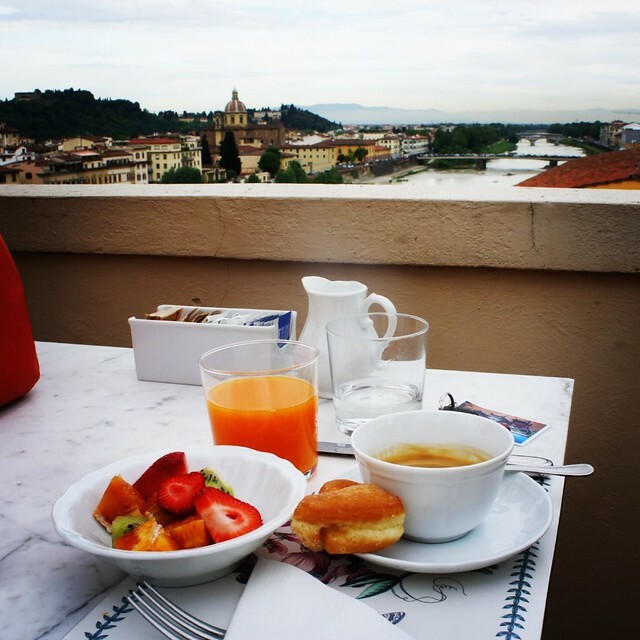 You can sip a breakfast cappuccino or an evening cocktail while gazing over the Arno river, Santa Trinita Bridge, Palazzo Vecchio, Brunelleschi's dome, and the distant hills of Fiesole and Settignano. Florence is a compact, walkable city, and from this central location along Via de Tornabuoni, it becomes even more accessible. 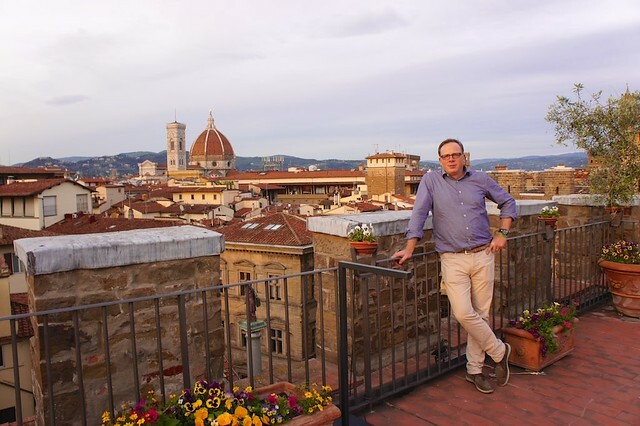 All of Florence's sights and attractions are not more than a ten minute walk away, and you can easily retreat to your room on torrid summer afternoons to relax and cool down until the sun sets and the city becomes bearable again. 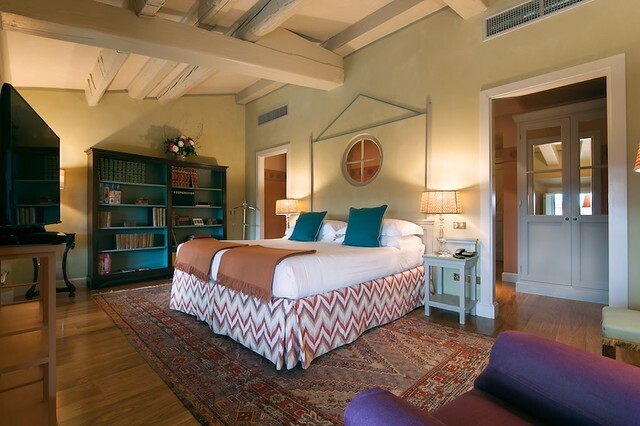 Like so many of Italy's historic residences, no two of Antica Torre's almost 20 rooms and suites are alike. Some with private terraces, some with views, some themed historically or with unique special amenities (a private spa, for example), all share marble bathrooms, luxury amenities, elegant and understated furnishings, and a sense of sleeping in an aristocratic palace. Most of the rooms are more spacious than you typically find in Italian city hotels. Though historic residences have a unique charm that we admire, oftentimes they can be a bit scuffed around the edges: aging furnishings or tired decor, spotty water pressure, dark rooms, a creeping dankness. Here, all the character of centuries of history has been preserved while offering the luxurious comfort of an updated, modern four star hotel. Maria Gabriella is a bit of a hotel snob and this hotel is one of her favorites. The staff is also super helpful and the hotel management often plans special programs for guests on Florentine holidays and festivals. On the beautiful Festa dell Rificolona ( Festival of Paper Lanterns) on September 7 for example, the hotel organizes a tour and introduction to the festival, with each guest receiving their own paper lantern to participate.